Make Mentoring Count Video Course Receives Telly Award | Prositions, Inc. Make Mentoring Count Video Course Receives Telly Award | Prositions, Inc.
Prositions, Inc. has won a Telly Award for their new, streaming video course, Make Mentoring Count. The program, which features author and expert Dr. Lois J. Zachary, is currently being used by organizations across the country to train employees to become better mentors. This is Prositions’ first year applying for the Telly Awards and their first win in the category of Film/Video – Non-Broadcast Products for Corporate Training use. Make Mentoring Count is designed as a training and performance support tool because it allows employees to take control of their own development. With 16 short video modules, corresponding development plans, and self-guided exercises, Make Mentoring Count can be delivered across most devices and learning platforms. The course helps mentors and mentees build confidence, communicate feedback, and proactively avoid common mentoring relationship pitfalls. It helps HR professionals incorporate mentor training into their programs and create a community of knowledgeable and competent mentors. If you are interested in previewing the course, learn more at https://prositions.com/mentoring-course. Founded in 1979, the Telly Awards is the premier award honoring outstanding local, regional, and cable TV commercials and programs, the finest video and film productions, and web commercials, videos, and films. Winners represent the best work of the most respected advertising agencies, production companies, television stations, cable operators, and corporate video departments in the world. 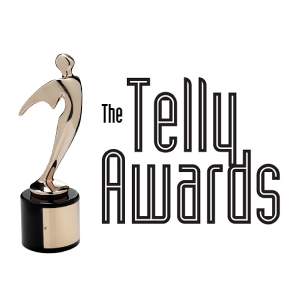 To find out more about the Telly Awards, visit http://www.tellyawards.com.